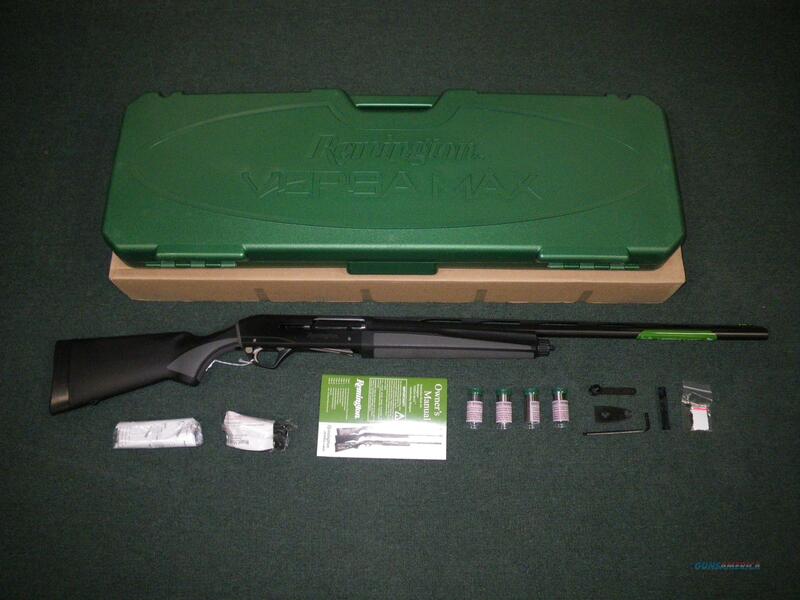 Description: You are bidding on a new Remington Versa-Max in 12ga with a 28" barrel. The new standard for reliability in autoloading shotguns. Versa Max shatters convention and all previous benchmarks for reliability with an action unlike any that have come before it. Proven in the field and in extreme tests of endurance with thousands of test rounds, it cycles 12-gauge loads with ultimate consistency, softer recoil and less maintenance than you've ever experienced. Includes 5 Flush Mount Pro Bore Chokes (Improved Cylinder, Light Mod, Mod, Improved Mod, and Full). Displayed images are stock photos. Any questions please feel free to ask (our phone number is in the additional information tab above).